The temp in the engine bay, above the inlet manifold is quite low - put your hand on it no prob, even after thrashing it. Its not the temp I am concerned about - more something breaking. So I have tried to keep the fittings robust and rigid. Will post pics in a few days when I get back to it with camera. I don't actually have a concern with how I have done this, and the benefits are significant - as far as trying to tune the car at the track. My ONLY concern is the possibility of the gauge failing - nothing else will. I am very pleased how this 'upgrade' has shaped up so far, esp my mod to the WUR - which I will describe and post pics in a few days. Hi Steve, That is the sort of info I am after, but not sure it will get me there. I have two options as I see it. T into the FD/WUR line at the WUR - where I hook my test gauge into now. Or I have a break in the line just after the FD outlet - where another dump/enrichment thing used to be. Put a T piece in there? The fitting on my WUR is like in the foreground of your pic. Your banjo seems to be on the return side of the WUR? Last edited by Reanimotion; 01-30-2018 at 04:20 PM.. 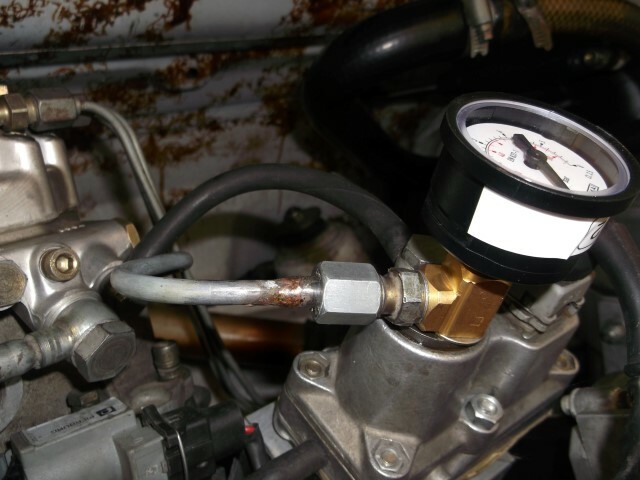 I ran the fluid filled gage in the engine compartment for years with no issue. Street car only but tracks tend to be more smooth than streets so shouldn't be an issue (unless you like hanging out in the rumble strips). The gage needle may malfunction after a lot of abuse but the fuel fitting shouldn't leak. Bosch dealers can still get that fitting, there is no filter in it. The smaller inlet on the WUR has a screen but nothing in the fittings. I can send you one if you need it. Thanks guys. Brian, that is re assuring - re the gauge. I have managed to cobble a hose (rigid) tail piece together from what the Bosch service guy gave me. Brazed it on to the new FD/WUR pipe I made up. Would have preferred a flex coupling, but fittings were not available. As soon as my gauge turns up I should be good to go - hopefully no leaks. Fingers crossed. Then I can show you how I can tune this - without breaking a fuel line, or removing the WUR. OK, this is what I have ended up with. Not completely fussed with the gauge. If it all works out I will try and source a better one. Had to make the hard line to FD. Hopefully no leaks - will check soon. Now for the tuning bit. You can see I have raised the WUR to get access to the bottom. I have replaced the plug in the bottom of the WUR with a brass 20mm frost plug. Perfect press fit. I then brazed a 10mm brass spigot to the base of the frost plug (while it was out of the WUR). The spigot has been drilled in two steps - bottom 5mm is 6mm clearance. Top 5mm and frost plug is threaded for 6mm allen head screw - which you can see at base of spigot. The clearance bottom 5mm is so that you can locate the screw on to the threads easily. 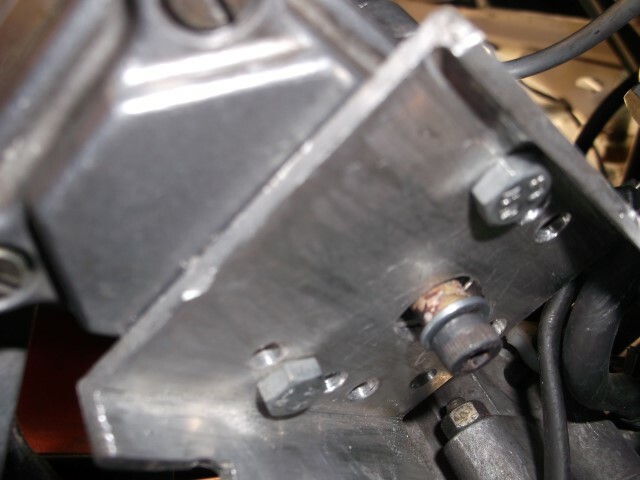 To tune the WUR you first remove the allen screw - this gets you through to the WP adjuster screw. Again the spigot helps you locate by braille to get to this diaphragm adjuster screw. My allen key only just reaches this screw via the spigot - the measurements are important. I could perhaps have taken another 1mm off the base of the spigot - but it works at 10mm. (The frost plug is pressed in until about 1mm is extending past the base plate of the WUR.) Insert 3mm allen key and adjust WP as required. When done place the allen head 6 x 15mm screw in spigot and wind in until near fully in. When about 1mm short you are close to where you want to restrict the boost dump in the WUR. Attach mighty- vac to WUR boost line (I have teed mine off to the back of IC so I don't have to keep detaching it.) Pressurise to approx 0.8 bar and adjust allen screw with 4mm allen key until desired dump pressure. I was going to shim it. But this is prob not very practical - would need a bunch of 2 thou shims basically. I lucked out with my measurements and washers. I have one 6mm washer at base and one thin schnoor washer on top. Close to tightening it fully it came to the mark I was looking for. Probably a small spring on a 6 x20mm screw or a spring washer would be best. It is a sensitive adjustment - very like the idle mix. 1/4 turn takes you from too much to too little (nil boost dump). But I am optimistic this will work long term and save pulling the WUR and fuel lines apart endlessley. I have to adjust significantly between tracks because of altitude changes, apart from daily tweeking. Last edited by Alan L; 01-31-2018 at 02:40 PM..
My concern is the gauge leaking and the fuel running down and dripping on the red hot exhaust/turbo.I also can see the benefit of having it for tuning.I have been involved with cars going up in flames so I get a little nervous. I'm not without trepidation. But Brian's experience gives me some confidence. And, you got lots of other fuel bits in there equally vunerable that seem to survive. A ruptured WUR disc would have a similar result. And it is 30 + yrs old, wafer thin and has had a pin pushing it back and forth all that time. So I am crossing my fingers right now, the benefits if it all works OK are worth the shot. Just tested everything, leak tight. Whew. I have tried to minimise any strain any where so should be reasonably immune to vibration. Now that I think on it, most race cars I have looked at have a fuel pressure gauge mounted on them. If it was going to be an issue I suspect I would have seen a lot more fires at the track. Struggling to recall one. Makes me feel a bit more comfortable. Take a look at the middle picture in Post #11. In that version I used a braided stainless line between the WUR and gages. The assembly is bolted to the OEM air cleaner bracket using a thick rubber tube around the braided line as a damper. If you have any reservations about vibration issues this method worked pretty well. I missed that. Thanks Brian. But I am pretty comfortable with it right now. Have ordered another gauge thru another source. But now I have the IC installed I only have about another 10mm to play with. I see you took a different track in your middle pic and did it all remote of the WUR. At the moment I can't source the required tail pieces for flex hose, so I will go with what I have right now - until it is not fit for purpose. I've changed the allen screw to a 6x25mm bolt, with a spring - in case anyone else goes down this track. Much easier to adjust and more flexible range. When you change the WP, the range required by the shims changes too. This is more flexible and can be done by finger adjustment rather than trying to fit an allen key. Seems to be working well - so far. So what was your end game here? Adjusting the control pressure under boost conditions? Being able to set WUR pressures at the track and without having to constantly pull the WUR apart, - fitting CIS gauge, and setting boost dump pressure - controlling how much gets dumped , as well as when it gets dumped - via the leask rpm switch. I can do all these adjustments now in a couple of minutes - switch out the Leask pill, change the WP and the boost pressure. That is about as much tuning as you can get out of the WUR and I can do it all with minimum hassle and time - eg between races. The two tracks I use are 3000' different in altitude - so apart from daily tweeks, it needs a major reset between tracks. Also, if there is any tuning/running issue, I can immediately check the WP to see if it is in spec, just by looking at the gauge and eliminate or confirm that as the issue. Gotcha. Thanks and good luck with the mod. I am very confident this is going to work very well and make things so much simpler. Wish I had done it ages ago. Lost count of the number of times I have pulled the WUR apart. And breaking fuel lines to fit CIS gauges over a stinking hot motor is not something you would put on your bucket list as a must do.